Are you interested in joining d3photography.com? Click here for more information. I started d3photography.com as a small department at D3sports.com with a simple idea: Wouldn't it be great if we had game photos on D3hoops.com. And it grew into where you are today. From those early days in the winter of 2002 to splitting off in late 2010 and to the present we have posted over 750,000 photos, covered more than 60 NCAA National Championships and continue to grow each year. I got my start in photography at a young age, messing around with my father's Minolta 35mm. 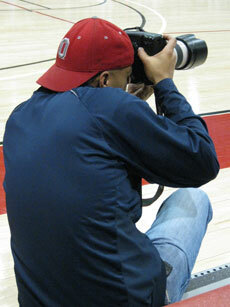 But I didn't start shooting sports until 1997 when I shot my first DeLaSalle basketball game and I was hooked. 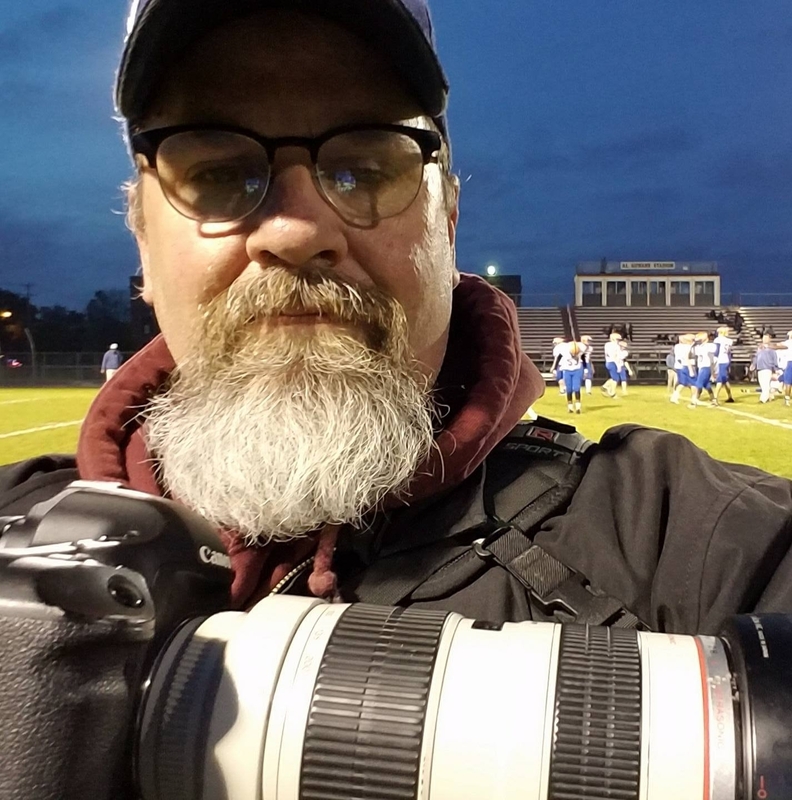 I've covered over 1000 events since then from the Division I hockey tournament, Division III basketball, baseball, soccer and football championships and countless high school events in Minnesota, Wisconsin and Illinois. During the day I work for the Great Minnesota Get-Together in their IT department as a supervisor, my summers are long and hard but being able to watch the Minnesota State Fair come together and the crowds come out makes it all worthwhile. During the offseason, between the planning and prep for the next year's fair, I run the d3photography.com photo desk from November 15 through April 1, covering NCAA Football playoffs, basketball, hockey, baseball and softball. I am the coordinating editor for our Cross Country, Indoor Track and Field and Outdoor Track and Field coverage as well. Through the end of 2017 I have been involved with over 40 NCAA championship events since starting with D3sports in 2002. Ryan Coleman can be found at events for the following conference(s) and school(s): MIAC, IIAC, WIAC, MWC, UMAC and points in between. among others. As d3photography’s only full time photographer, I handle the day to day operations of d3photography.com. From credentials, to servicing customers and clients, my day is never boring and always changing. My goal is to keep our clients and our customers with the most up to date images from our core sports and develop relationships with our non core sports. My biggest challenge, trying to attract new photographers, so that we can continue to grow our network and cover new markets. 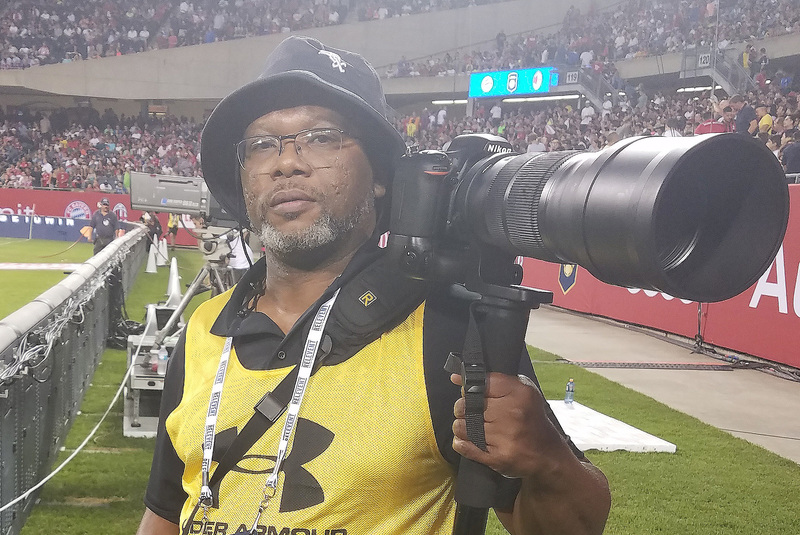 If you’ve got sports photography experience, please reach out. we’ve got a place for you. My start in photography came when my dad handed me a Canon AE-1P in 1985. Less than a week later, I was shooting high school basketball, and soon after was working Division 1 hockey as a hobby. It stayed a hobby until 2006 when it became a full time part time job, and I was working a full day time job and spending an equal amount of time covering sports. Now nearly 10 years later, I’ve covered over 50 NCAA Championships in baseball, basketball, football, hockey, and soccer in both Division I and Division III. I spent two years on the sidelines with the Green Bay Packers covering for various newspapers. I cover preps for a number of Wisconsin newspapers, and cover MLB, NBA, and the NHL for a wire service. I work for a number of Big Ten schools providing coverage when they are in Wisconsin. Never one to turn away a challenge, you’ll find me working weddings and music festivals during the summer off-season. When I don’t have a camera in my hand, I’m usually pounding the pavement training for my next half or full marathon. Or planning a trip to Disney. Larry Radloff can be found at events in the WIAC, MWC, NACC, CCIW as well as tournament assignments. Larry Radloff can be found at events for the following conference(s) and school(s): WIAC, MWC, CCIW, St. Norbert, Lawrence, UW-Oshkosh, UW-Stevens Point, Milwaukee School of Engineering among others. I am a free-lance photographer based out of Appleton, Wisconsin. I started taking photos for Menomonee Falls Little League and quickly fell in love with sports photography. 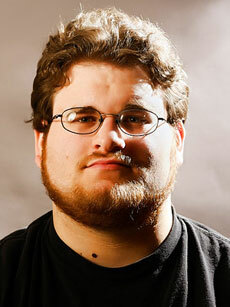 Within the year I was mentored by a close friend who shoots for a Wisconsin Badger sports website. I have been asked, “What is your favorite sport to shoot?” Shooting outside, my favorite has to be baseball. There is nothing like being that close to the action and the emotions of the players on the field and bench. Shooting indoors, my favorite sport is hockey. As someone who played both roller and ice hockey the anticipation of the first pass and the big hit is an adrenaline rush. To catch that emotion in a still shot is priceless. While I have worked with d3photography.com, I have been to the 2014 and 2015 Division III Women’s Basketball Finals and the multiple Division III World Series and Stagg Bowls. Scott is one of the earliest photographers with d3photography.com and has covered some of the biggest NCAA Division III and Division I hockey, football, basketball and baseball games over the years. 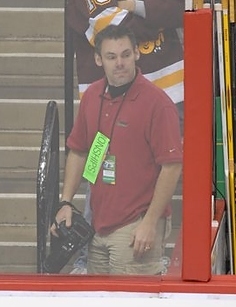 He also serves as the Minnesota Swarm team photographer in the National Lacrosse League in Saint Paul, Minn. He resides in Twin Cities area with his wife and two children. Scott Pierson can be found at events for the following conference(s) and school(s): MIAC, UMAC, WCHA, Big Ten among others. I am a freelance photographer based in Minneapolis, Minnesota. I started taking pictures my senior year of high school and quickly found a passion for sports and photojournalism. 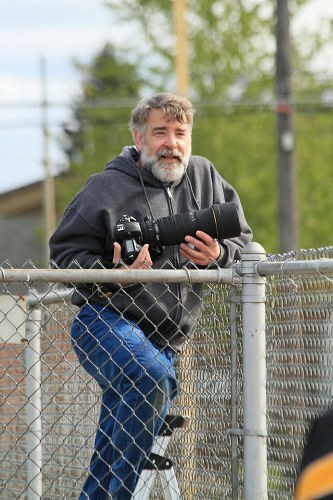 I started off in 2006 taking photographs at high school softball games. Later that I year I became the photo editor of the Augsburg College Echo school newspaper, where I had the chance to shoot a variety of sports at the Division III level including football, soccer, basketball, hockey, baseball and softball. I have covered the Division III Wrestling National Championships eight times between 2008 and 2017. I have also covered professional basketball and soccer, as well as youth and high school soccer, high school wrestling and amateur baseball. I graduated Minneapolis Community and Technical College in 2012 with an Associate's Degree in Photography and Digital Images. There, I also served as Managing Editor for two years for City College News, the student newspaper. Caleb Williams can be found at events for the following conference(s) and school(s): MIAC events. among others. I am a freelance photographer in the DFW area. Along with my work with D3Photography.com I also cover all types of sporting events for youth, high school's, college's, and professional organizations in the DFW area. I also provide Team & Individual photography services for several schools and clubs. I feel fortunate to turn a hobby I love into a profession. 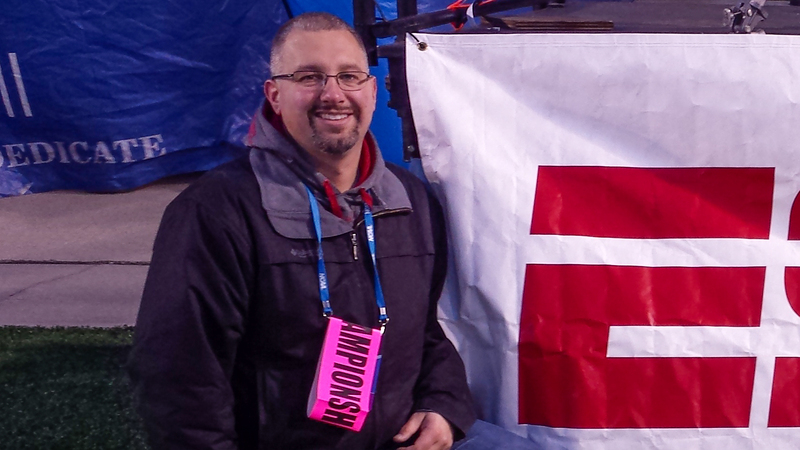 The oppertunities received to cover professional sports these past few years have been a real joy. I am looking forward to continue growing my business and the oppertunities yet to come. For D3Photography.com I cover schools in the SCAC and ASC conferences. 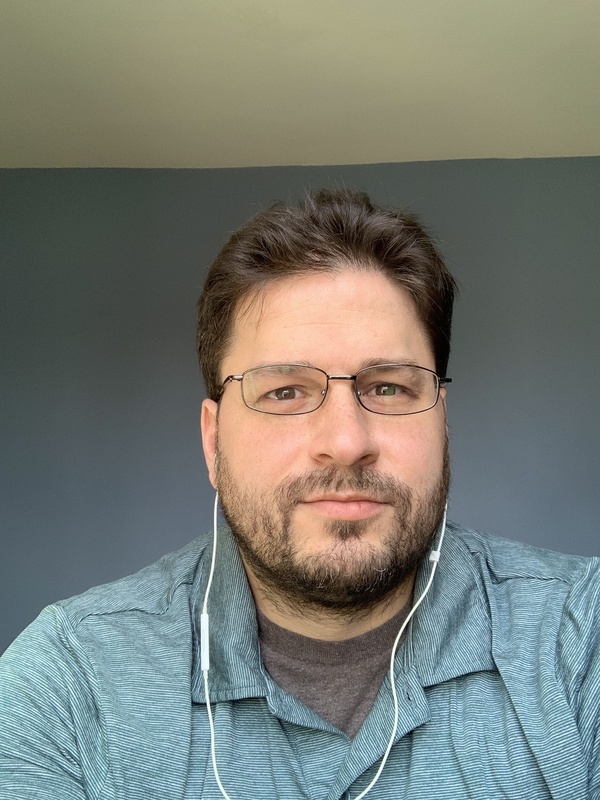 Dean, is a full-time software engineer and a freelance sports photographer in the Chicagoland area. Although Dean has background in other genres of photography; sports photography is a true passion for him. 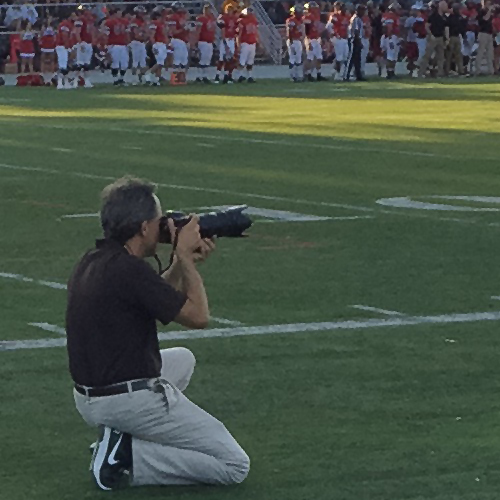 During the latter part of the week Dean is usually capturing sporting events for local high schools (i.e. soccer, golf, track and football). 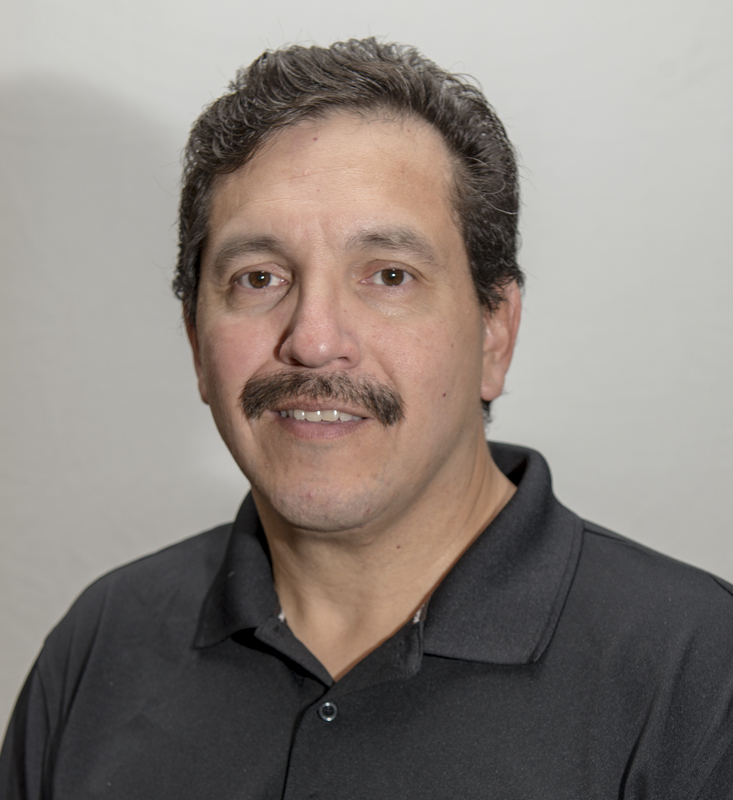 A few other facts about Dean that might interest you are the fact that he is a U.S. Army retiree/veteran and has a master's degree in management information systems from the University of Phoenix. Since joining the d3photography staff in the fall of 2016, I have had the opportunity to cover 11 NCAA Division III Championship events: men's basketball (2017, 18), women's basketball (2019), football (2016), men's & women's soccer (2016-18), and swimming & diving (2019). I have also shot events for several Division III schools throughout my home state of North Carolina. In addition to my work for d3photography, I have shot high school sports for MaxPreps and Victory Views. I spent the first 28 years of my professional career as a small-college SID, serving at Florida Atlantic (1989-91), IPFW (1991-93), The University of Chicago (1993-2012), and St. Francis Illinois (2012-17). 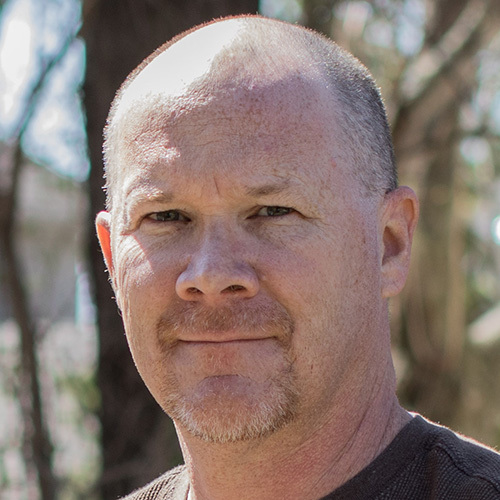 Born and raised in Milwaukee, I moved with my wife and two dogs to New Bern, North Carolina, in 2016. I currently serve as the communications & marketing coordinator for the East Carolina University campus living department. 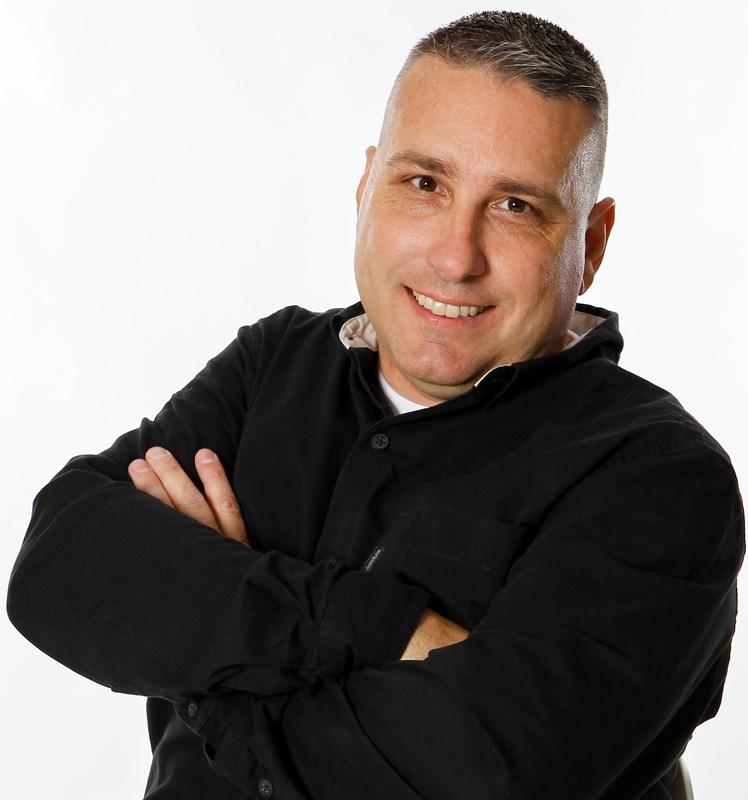 Dave Hilbert can be found at events for the following conference(s) and school(s): USA South, ODAC. I am, first and foremost, a friend of Ryan's. He asked me to shoot swimming with him a couple years ago, knowing that I know my way around a camera, but also that I had never been to a college swimming event before, much less shot one. And still, he asked me to shoot more for him, so I figure I did something right. I have been a photographer since I was given a Nikon EM back when I was - 12, I think. Even though that camera was very frustrating to use (no ability to choose the shutter speed, so no real way of understanding what you were doing), it gave me enough of a taste of the possible that I soon purchased an older Nikkormat with a single prime lens and, borrowing a lens here and there, I made some images for the Concordian - the Concordia-Moorhead student newspaper - (WAAAY back in the last century) of some football games, and took a class, and still hadn't a clue what I was doing, but it was taking - you know. Then I worked for Pro-Ex, and it started to sink in. Then I started assisting a Wedding Photographer, and then shooting, and I was getting it, and the eye was developing. And then digital happened, and you could see right away what a change in the aperture and or the shutter speed and or the... well what do you know? I understand this!! And still, Ryan is my friend and he asks me to shoot pictures with him and for him and because I understand what is happening, I can stop thinking about it and just make the images, you know? I am married to a wonderful woman who feigns understanding me, and we have three awesome kids who are growing and learning and making great strides and messing it all up and living and if we keep working hard and smart, we'll get it. 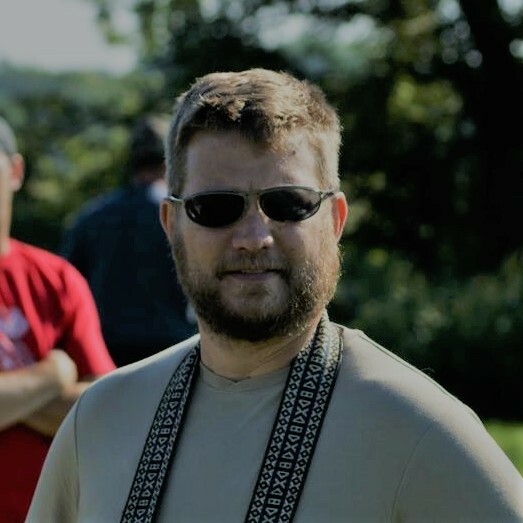 Wade Gardner can be found at events for the following conference(s) and school(s): WIAC, UMAC, MIAC, UW-Eau Claire, UW-Stout, UW-River Falls among others. David shoots mainly in the Chicagoland area. His most often schools are North Central, Wheaton, and Aurora. 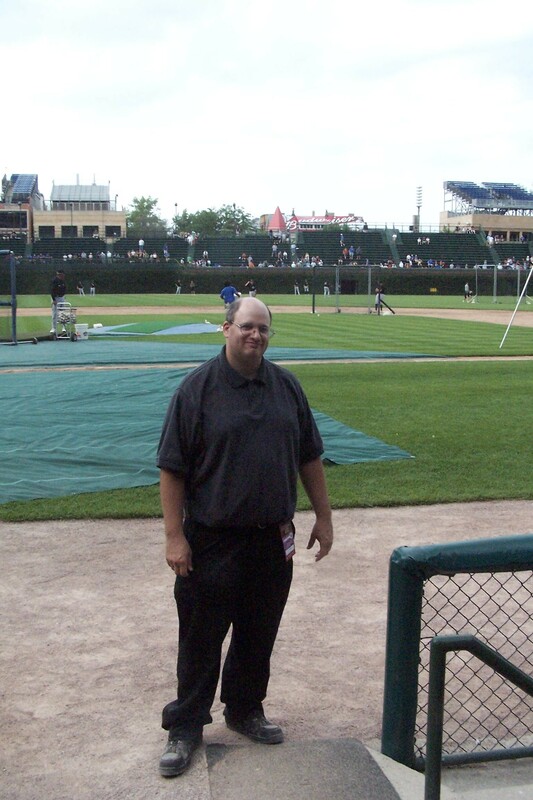 His favorite sport is baseball to shoot as he has been shooting that for over 15 years in the Midwest League. I am a freelance sports photographer based in the Seattle, Washington area. I studied photography at The Southeastern Center for the Arts in Atlanta, Georgia. The school was operated by Jeanne & Neil Chaput de Saintonge, current owners of The Rocky Mountain School of Photography. For many years my main focus was nature photography until I had an opportunity to shoot a sporting event at The University of Washington. That changed everything thing for me. Since I have a great passion for both sports and photography, it was only natural for these two to become my main focus. Outside of photography, I enjoy family, fitness, nature, hiking and reading. I also have a BS in Pharmacy from Auburn University- War Eagle! I am a computer tech with one of the largest public school districts in Wisconsin. My photo interests started very young. I always was looking through my grandparents' slides and photographs and was begging for my first camera way back when the Kodak Instamatic first hit the market. I am guessing I was around 8-10 years old. Does anyone remember the 126 film cartridge and the flash cube? In high school I brought my first 35mm camera, I went through several as the years went by and still have a couple of Pentax cameras that I have had for over 30 years. I've also photographed weddings, and still do from time to time. I've shot hundreds of rolls of my two kids as they grew up. Sports, plays, music, family, landscapes, travel, wildlife and other events are favorite subjects. Really, did I leave anything out? I became associated with d3photography by running into Ryan at a UW-Whitewater football game shortly after getting my first Digital SLR in 2006. 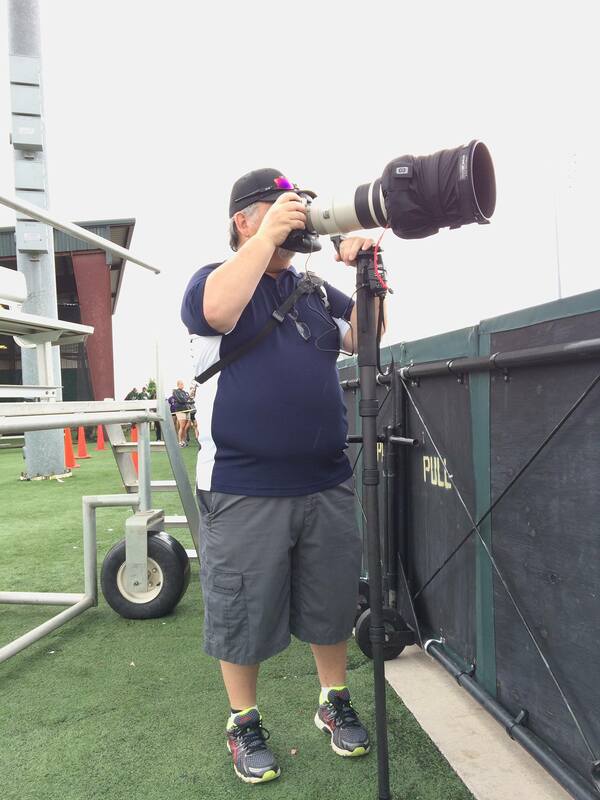 I was on the field shooting UWW games because my son, Chris, spent five years with the team, three of them as an assistant coach. Some of the first years I was still shooting film for myself. 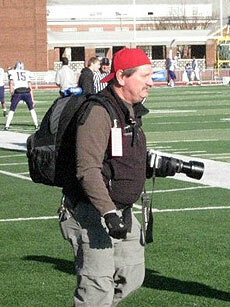 Since '06, I have been on the field for almost every UWW football game, except a couple of the Stagg Bowls appearances. I was at three of them and on the field shooting for '06 and '09. I have had at least 18 photos on the main pages of d3football.com in those years and many more on warhawkfootball.com. Chris is now with a pro indoor arena football team, the Wisconsin Wolfpack, in Madison, WI, and I am now shooting indoor football as well. I have also been on the field at Fenway Park, for pregame ceremonies when my daughter, Allyson, sang the Star Spangled Banner for a Red Sox - Yankees game in April, 2009. I enjoy shooting Division III sports because these athletes and their families are there simply for the love of the game. I am a graduate of the California Maritime Academy where I played soccer. 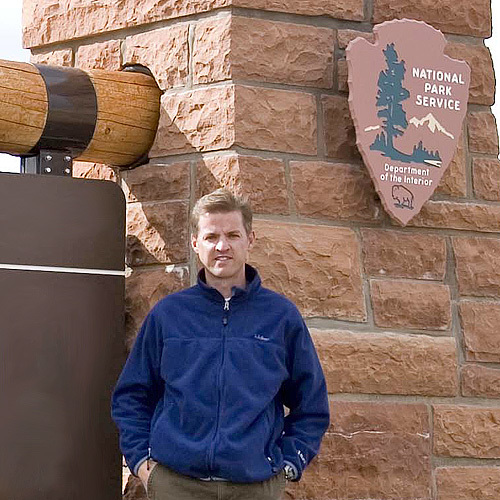 I drove Oil Exploration ships for a number of years before I went back to school at the University of the Pacific and got teaching credentials in Physical Sciences and Mathematics I currently teach high school physics. I have taken photos off and on since high school. I started shooting Division III football on a whim and put the photos on Yahoo. When they quit hosting (I didn't realize it was Flickr) I asked Ryan if I could put my photos up on d3photography (then a part of D3sports.com). Since then I have been shooting basketball and volleyball games for the NAIA Cal Pac conference. I have also photographed occasional confirmation and first communion for area churches. Those photographs are on PhotoReflect.com My photos have appeared in the Linfield, Whittier, and Willamette student papers, Sports Starz magazine as well as on numerous college web sites. I also shoot athletics at the school where I teach. They are used for the school's athletics web site. The AD also uses my shots for fatheads or posters given to athletes who get straight A's during their season. See the football page of the athletics page for an example of the fatheads. I also backpack and climb mountains all over the west coast photographing birds, flowers, and the beautiful scenery. My interest in sports photography began at a young age, using my first camera (a Canon AE-1) to capture images of my friends playing basketball and football. Growing up, my father’s employment (with the Houston Oilers, Chicago Bulls, and Chicago White Sox) further stoked my passion for sports. In more recent years, my father-in-law (a longtime head football coach at DePauw University) helped me develop a particular interest in D3 athletics. In addition to freelance photography, I work as a senior instructional designer for a healthcare organization in the Chicago area. I am a freelance photographer based out of Eastern North Carolina. My love of photography began as a child. I remember receiving my first camera when I was 7 years old, and have documented my life and travels on film and digitally ever since. In my late teens and early 20s, I worked as a photojournalist for my local newspaper. I also had a love of science, and that dictated my full time career for most of my adult life. However, my need to start being creative with a camera rose to the surface again a few years ago, and I retired to pursue photographer full time. I have been shooting sports, including youth, middle school, high school, and college sports, for a while now, and have been published by Maxpreps, Varsity Views, Referee Magazine, Raleigh News and Observer, and Orangehen. I have been hired by a number of colleges from all divisions to photograph their teams during their home and road trip games. 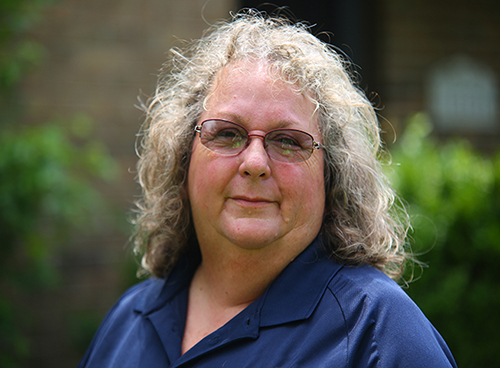 Carin Goodall-Gosnell can be found at events for the following conference(s) and school(s): among others. I am a freelance photographer based in Southwest Virginia. 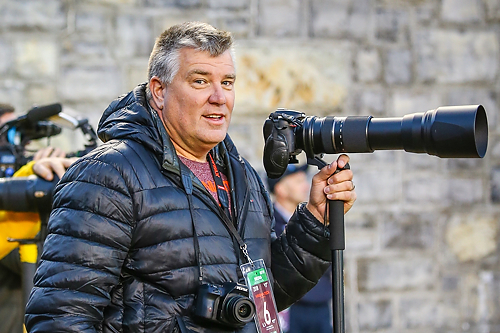 I enjoy all types of photography, but my passion for sports began when a local newspaper asked me if I would like to shoot Virginia Tech football for them. Since that time 4 years ago I have shot almost every Tech home football and basketball game. The past few years I have been fortunate enough to photograph the ODAC tournament, Stagg Bowl and the Final Four for d3 Photography. I am available for hire in the SWVA area. Brian Bishop can be found at events for the following conference(s) and school(s): among others. John Sudbrink can be found at events for the following conference(s) and school(s): among others. 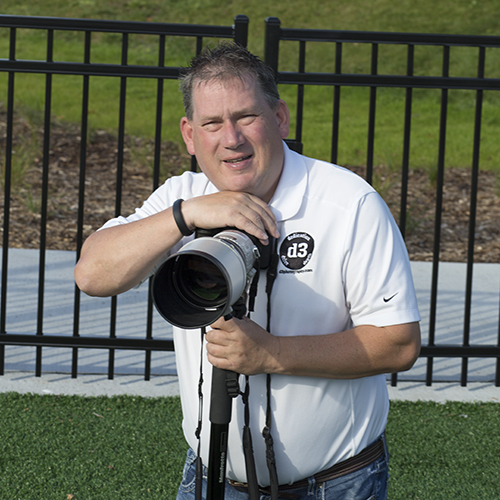 Jeff is a freelance editorial sports photographer located in Eden Prairie, MN. Jeff Lawler can be found at events for the following conference(s) and school(s): among others. I am a self-employed freelance photographer residing in the Capital District of New York State. In many ways, this is an optimum location for a photographer to live; as the Catskill Mountains are about an hour south and the Adirondack Mountains are about two hours north. New York City and Boston are less than three hours away. This central location enables me to walk out my front door and find amazing photography opportunities including, but in no way exclusive to, shooting nature scenes, urban scenes, college sports, wildlife, concerts, events, and anything else that catches my attention. One of the questions I am most often asked is: what is your favorite thing to photograph? I love to photograph Division III sports; that is probably my first love as a photographer. There is so much passion, pain, emotion, and action at this level of athletics. Most of the athletes are nearing the end of their athletic career -- they get out there and put their hearts on the line. There is nothing more exciting than seeing the celebration of a championship, and nothing more heartbreaking than seeing the tears roll as an athlete realizes this is the end. This view is different through the camera lens. In some ways it is more limited; however, most of the time I am watching many of the things the spectator is not. I am watching the game and the athletes of course, but also the crowd, the fans, the weather, the playing surface, the bench, the children running around the sidelines, and anything else that might make for an interesting capture. All of this being said, I truly love being behind the lens, regardless of what I am photographing. Photography is an interesting medium. 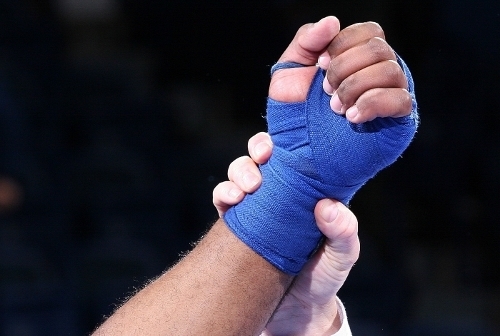 Often people will say, "Did you get that hit, shot, or goal?" In reality, photography stops the hit, shot or goal. It is my intention to capture the emotion of the athlete, subject or scene. I look to capture the moment before, during, or after, one shot at a time. For instance, capturing a soccer player kicking a ball can make for a great photo. With that being said, now imagine a ball caught in the net, the goalie looking back at it, and the player leaping for joy, all three stories captured at the same time in one single photograph. Look for the guy with the red Ohio State Buckeye hat on it is probably me! Matt Milless can be found at events for the following conference(s) and school(s): Empire 8, Union, RPI among others. During the day he's Social Media Manager at Carlson Wagonlit Travel. 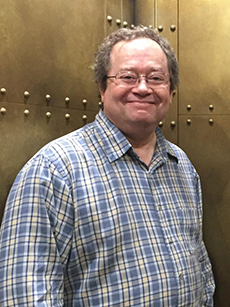 He spent two decades as a journalist by day (and night, sometimes) as deputy managing editor for Verizon Headlines, copy desk chief at NBCSports.com and for more than a decade at USA Today. He and his wife Cate have three children: Elizabeth, Robert and Colleen. He returned to his home state of Minnesota in 2008 after nearly two decades in the Washington area. Began shooting sports while still in high school. On to college, student newspaper staff photographer, then photo editor. Years of bi-weekly features in the county paper, weddings, custom lab work, printer, portraits, families, studio owner in the 90’s. Moved to and reside in Tacoma since 1999 where he began enjoying and shooting local D3 campus and sports as well as many other youth sports. Dan McCormack can be found at events for the following conference(s) and school(s): among others. I am a local Plainfield, IL photographer of many genres. 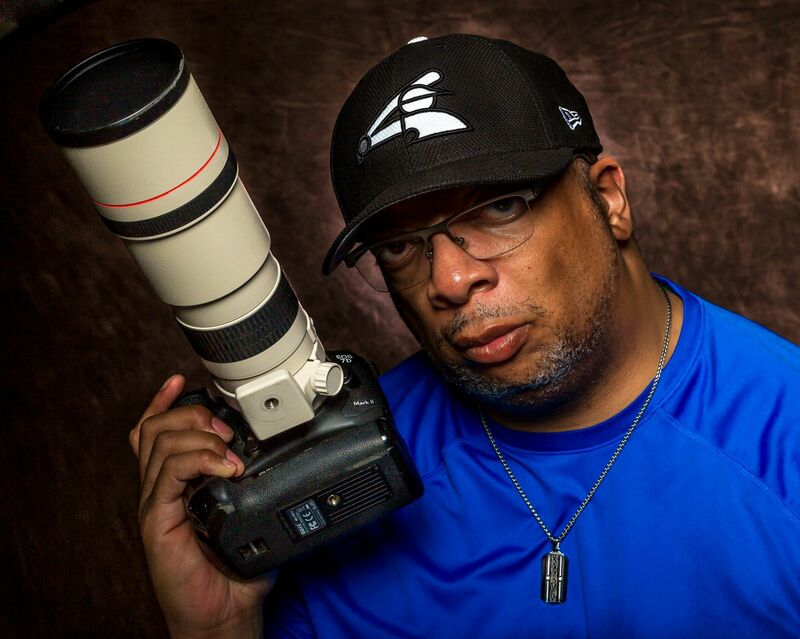 I started out shooting sports, specializing in Baseball, Football, Basketball and Soccer. Gary Duncan can be found at events for the following conference(s) and school(s): among others. I'm Gregg Bochat, I am from Crystal Lake, IL. I have been involved with photography since I was in my teens. I'm much older now.... I am a full time service tech for Honeywell. I have been shooting sports with my kids from Baseball, Tennis, Basketball and Softball. I was asked to do all of the sports for Concordia University in Chicago and have been doing that for 4 years, ever since my daughter graduated form there. I do landscape photography as a hobby, when I can squeeze it in. I have a passion for photography, trying to catch that moment in time, that will forever last in a photo. 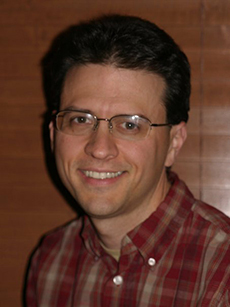 Gregg Bochat can be found at events for the following conference(s) and school(s): among others. I am a Twin Cities based photographer. I started shooting sports about 6 years ago. As a parent of high school athlete, it was better to go with a task to preform, as opposed to being a nervous parent in the stands. Working at Augsburg University for 11 years and now at St. Olaf College, I developed relationships with the Athletic Department staff and have shot countless games across multiple sports, including; football, wrestling, baseball, softball, basketball, hockey, cross country, track and field and lacrosse. Kevin Healy can be found at events for the following conference(s) and school(s): among others. I am also a Free Lance Photographer and owner of RAHolguin Photography. I specialize in Sports and Portrait Photography. My Clients consist of SASports.com, 247 Sports, San Antonio Missions, St. Mary's University, Trinity University, and UTSA. I have also been published on Several websites such as SASports.com, St. Mary's Rattlers, University of Incarnate Word, 24/7 Sports,USA Today, San Antonio Missions, San Diego Tribune, Purdue Baseball, UTSA and the local paper San Antonio Express-News and having work at a local camera store in San Antonio, The Camera Exchange. Rey Holguin can be found at events for the following conference(s) and school(s): among others. We're looking to expand around the country. On the map below, we're looking for photographers in states where there are NCAA Division III schools. We have both a flexible deadline and expectations. We expect you to do the editing, uploading of both proof images shortly after the game and the full resolution files within a couple days of the game. We do not pay per game. You are paid a percentage out of your sales. All of our photographers are paid in this manner and we have been operating this way since 2003. We do not reimburse mileage, meals or food. You can write those off on your taxes out of your sales next spring. You are expected to be your own salesperson at events. While we give you resources to help you (shirts, sweatshirts [for purchase], business card designs, marketing on facebook and on our media partner websites) you need to make your sales happen. We're a resale outlet for you. We will sell on your behalf, we will provide images to newspapers, schools, other media outlets that come to us. You own your images. You're just letting us resell them to make you some extra income and give the fans something to look at and hold on to remember the games by. This is "At will employment." And you are a contractor. We will not take taxes out of your sales.